I was picked up at 8:05 at the Rainforest Haven Inn, San Ignacio by Luis Zaiden, our tour guide and driver. He informed us that we had about an hour and fifteen minutes drive to our destination. We drove on the George Price Highway which is a pave road and then divert for 7 miles on rough road. A couple minutes after diverting we stopped at a small shop located in the village to pick up extra water or snack if we needed any. I suggest to buy a bottle water from here if you didn't bring any. You will need it for your hike/walk to the cave. When we reached the park area we were able to used the rest rooms before starting our 45 minute walk. Luis kept the walk very interesting. Our group stopped at various locations as he pointed out the different types of trees and insects. I can tell that we had a good guide by the knowledge shared and other groups were passing us because they seem to be just walking. Along the trail we had to cross the Roaring River 3 times (it doesn't roar). The water reached the highest to my knee; I'm 5'4". Before we reach the entrance of the cave we made one last stop. There is no bathrooms here so if you wanted to be you would need to do so behind the bushes. At the entrance of the cave you have to do a short swim. I heard the group members that went into the water before me screaming, once I was in I knew why; the water was cold. The cave experience is magical. I'm pretty sure I will never see anything like this in my life again. The formations were magical. Some of them reminded me of saints with their magical wings that you see in catholic churches.Moving along the cave you are pretty much in water for about 70 percent of the time. There are areas where it is up to your ankle, knee, hips and even shoulders. There are areas where you have to pass through tight spots and from afar you may think how can I possible do it. But once you are there and the guide has done it you will feel like oh it wasn't that hard. Luis stopped at several sections of the cave giving possible hypothesis as why the pottery are there. There are several human remains each with its own story. The one that strike me the most was the one with the 9 year old that had been tied and left in the cave. The cave itself is magical. There are many parts of the cave where the walls shines like there are diamonds all over. I thought about how pretty wearing a jewellery made from these would look like. We also had to climb up a ladder to reach the higher part of the cave. Here we saw pottery and skeletal remains. This was the dry section of the cave. Coming back down I dreaded the cold water but someone it wasn't that bad as I remembered. The walk to the other cave was quicker.Luis gave us a snack bar once we were outside the cave and we walked back to the parking site. We then changed into our dry clothes. When we came back out our meals were placed out on the picnic table. We had the most delicious rice and beans, stew chicken and salad. For drinks we had sodas, water and even a Belikin beer. We arrived back at around 4:00p.m. at the Rainforest Haven Inn. If you are looking for some fun and adventure, I highly recommend this tour. Try to book in advance so you get the right guide. 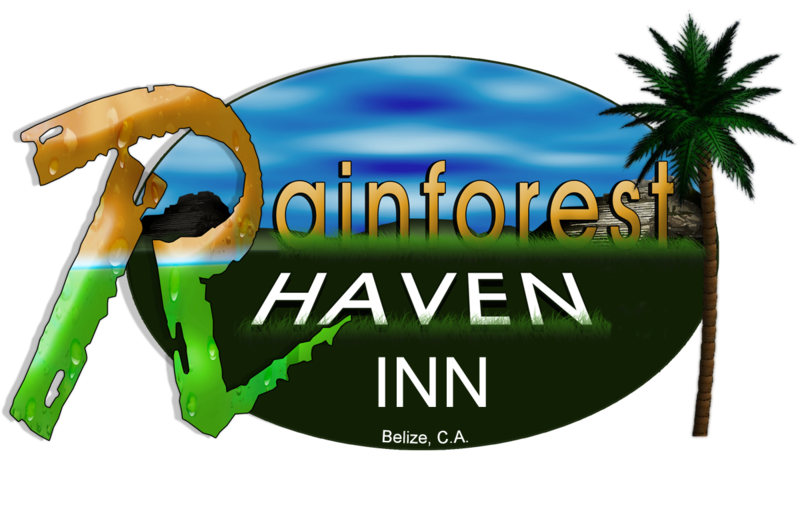 Luis was booked through the Rainforest Haven Inn in San Ignacio. I would recommend to do the tour in shorts. If you have dry fit clothing would be good. A pair of keen or something similar is the ideal shoes. You need to bring a pair of socks, preferably thick black socks because you will be walking only in them. Also bring a pair of flip flops for after so you don't ride back in your wet shoes.